The impact of living with migraines goes far beyond the disabling pain and symptoms. Chronic pain can impact every area of your life. If you are here reading this, then you probably already know that migraines can wreak havoc in your life and destroy much of what you love. They can change e v e r y t h i n g.
Living completely migraine free is not always possible, but it doesn't have to be impossible or unattainable. With the right attitude and the right tools and tricks to cope, you can minimize their impact on your life. Sensible changes in everyday habits, along with avoiding migraine triggers, can have a huge impact on this debilitating condition. And the drug therapies available today are more effective than ever before. Living with migraines and chronic pain that repeatedly interferes with the fun bits of life, or prevents you from being motivated and efficient, is as frustrating and depressing as it is painful. Plus, no two migraine sufferers are the same, which means you will have to find your own solutions, most likely by trial and error. 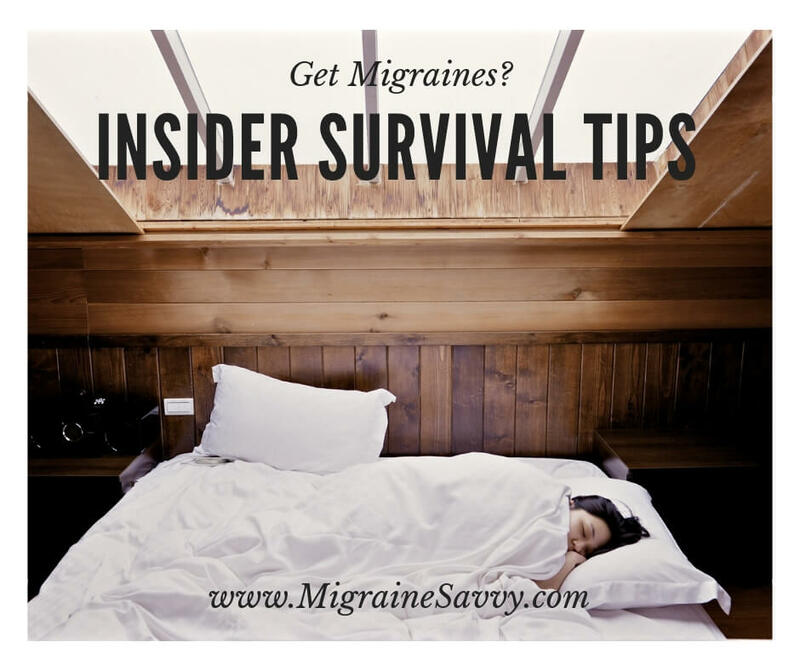 The problems we face as migraineurs can seem insurmountable. But I'm here to tell you... you can tackle them. There are some things that do generally work well for the majority of sufferers like using ice and heat in combination to abort an attack, learning relaxation techniques and meditation to help reduce pain and anxiety. I have loads of tips... so keep reading! Living With Migraines... What Are Your Options? While migraines might dissolve your ability to maintain control over certain parts of your life, you also have several options at your disposal to enable you to take action and to make wiser choices. There are many different types of migraines, so make sure you know yours. See your doctor and perhaps a specialist to get the right diagnosis. DO NOT use doctor google and self diagnose. Seeking out the right information to educate yourself on migraines used to be difficult. Now we have access to the internet 24/7, with more experts speaking out and making themselves available. One thing I highly recommend is to watch the Migraine World Summit which is packed full of information and the most up to date migraine treatments. You can read about that here - The Migraine World Summit. asking the right questions of your doctor is a good place to start. Forming a network of personal medical and healthcare professionals and therapists to help you cope with this medical condition can instill some sense of control, manageability and hope to maintain a more pain-free lifestyle. I write all about how to do this in my Migraine Pain Management course. You can enroll for free, here's the link - Migraine Pain Management Course. Migraine attacks can be debilitating and it can take some time (or a long time) to find effective treatment. 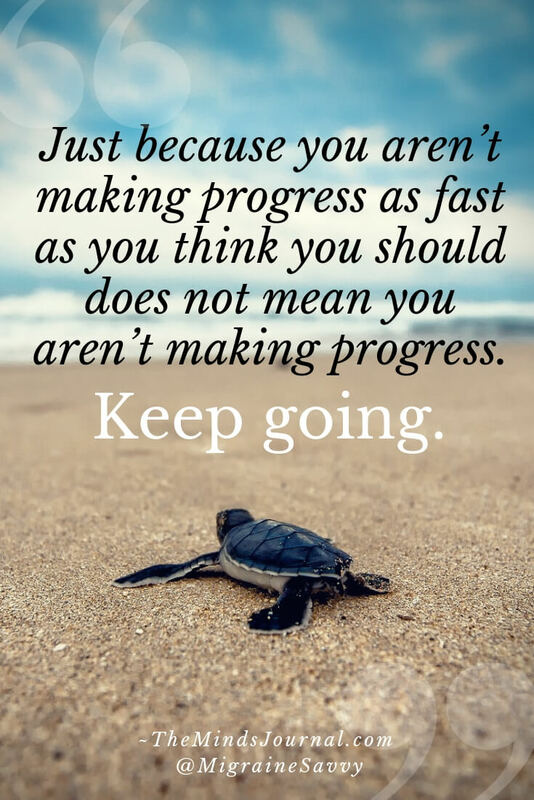 So learning new coping skills can be a good place to start to give yourself your best chance at finding your way to physical and emotional pain relief. There is no doubt that living well with this condition is incredibly trying at times... draining and exhausting, but you must persevere. We aren't born with skills to deal with chronic illness. One idea is to let them be your teacher and learn new things. For example, migraines have taught me patience and compassion. They have forced me to seek help and increase my self-awareness. This chronic, debilitating condition has helped me to learn what is important in life, and discern who is important in my life. But... they can also destroy your self esteem and send you into a spiral of depression. You might grieve for the life you once had, the person you once were. Educate yourself about YOUR diagnosis. Know what you have so you can treat it effectively. Keep a journal. Record everything until you find a pattern. Be prepared for your doctor. Write your questions down before each appointment. Use your neurologist’s wisdom and guidance. Ask questions about living with migraines, your specific type, the easiest way possible. Learn about treatment options: medications, alternative remedies and any recent discoveries. Why me? What do I know about living with migraines? I had severe migraines for over 26 years. It was a very difficult puzzle to solve. It took years to diagnose, because I have a rarer form that used to be called Status Migrainosus or Status Migrainous. I got all the typical symptoms of cluster and classical migraines, but they were "continuous for more than 72 hours." I spent 20 days each month and every month (no holidays from migraines) with episodes that lasted for up to 10 days each. In the beginning, I thought they were temporary and from stress. I was told repeatedly that if I thought positively they would go away. I spent many years on this aspect (also know as denial). I spent 3 years trialing medications that did not work, and then over eight years meditating the pain away and looking for a more natural 'cure'. In 2006 I discovered a triptan that worked for me and I have not looked back. I have to be honest, I think it took me over six years to get taking the pain medication early enough, and another few years to just relax into taking the abortive at my earliest warning sign. I like to joke that I have a PhD in pain management. Life is much better now - 20 years later and a lot wiser! Living with migraines did get easier. I was able to finally manage my pain episodes, and all the disruptions that came with them from a place of peace. Finding a pain management strategy that works is vital. Understanding your early warning symptoms is crucial, and helps you deal with and alleviate or potentially abort the impending attack. Getting some migraine support or professional pain counseling can be life changing! (It was really important for me). I hope this has all helped so you know what to do to reduce attacks (ice and heat). And empower you with choices and options to increase your well-being so that you can make wiser decisions; not just regarding your pain treatment, but also for living the best life you can whilst living with migraines. Living with migraines is difficult, but it doesn't have to be impossible.